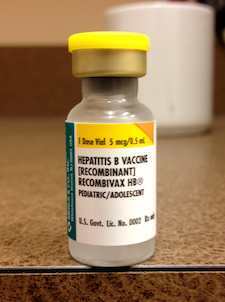 When I was in medical school Hepatitis B was the number one cause of liver disease and liver cancer. Now, thanks to widespread use of a vaccine that was developed in 1982 its incidence has markedly declined in the United States. Side effects include local reaction and arm soreness.